Want to brew sake? Where ya’ gonna get your koji? This article discusses whether to use ready made koji or to make your own koji for Sake Brewing / Sake Making. What is koji anyway? Well koji is rice with a white mold covering it. The mold is Aspergillus oryzae and it is the key to sake because of the enzymes it creates. 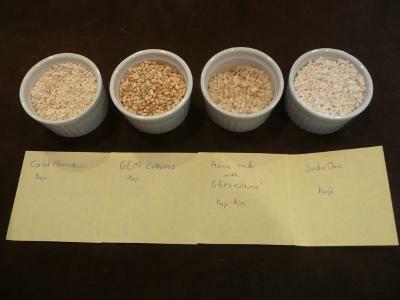 These enzymes primarily break down the starches in the rice creating sugars needed for fermentation. So how do we get koji? Author WillPosted on January 23, 2010 March 10, 2019 Categories General Topics, Ingredients, KojiTags Koji, Saké2 Comments on Want to brew sake? Where ya’ gonna get your koji?